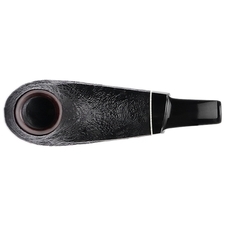 Though the forward-urging bowl of this Volcano from Jeff Gracik of J. Alan pipes is not unlike certain renditions we've seen from the carver in times past, the overall form is quite a departure from the curling, often Japanese-inclined, "wavier" iterations. 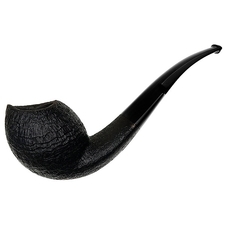 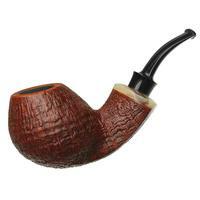 Indeed, this fellow is practically streamlined and modernist, supplanting the often alert, tightly-cinched, scorpion-like poise of the shank and mortise-face for something more broad and compressed, much in the way of the classic Eskimo shape. 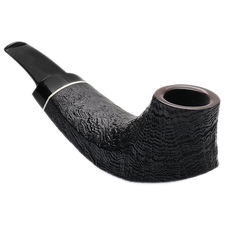 Rather than employ tight ridges to define the shank itself, though, Jeff elected to shape sweeping panels, the uppermost ridges of which taper effortlessly into the bowl. 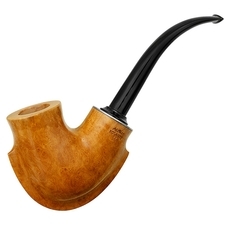 From whence, then, does the name "Bosc" come? 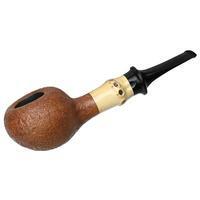 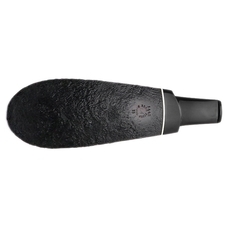 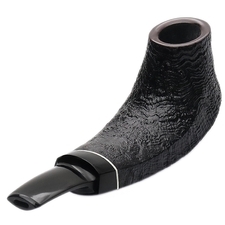 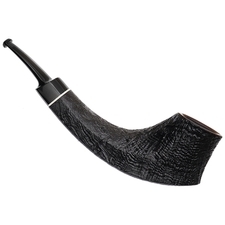 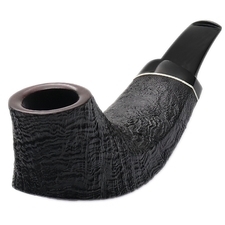 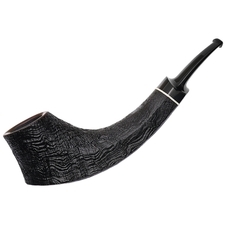 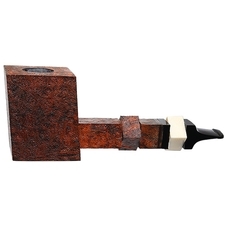 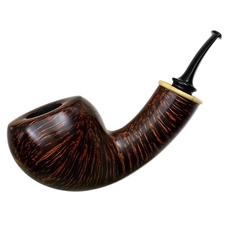 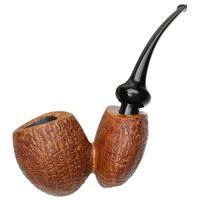 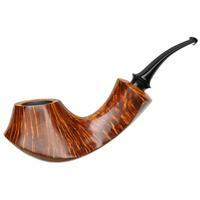 Turning the pipe upside down, viewing it from the underside, the pipe's profile offers some illumination, as it evokes the characteristically bottle-neck taper and flare of the classic Bosc pear. 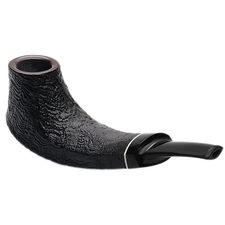 The heel represents the pear's base, while the diagonally-oriented stem base calls to mind the the fruit's stem, making for a piece that ever-so-slightly hearkens toward the organic, while still keeping to a modern, refined look. 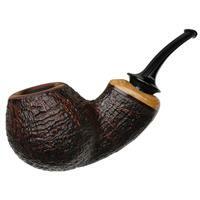 An excellent piece from the American carver.